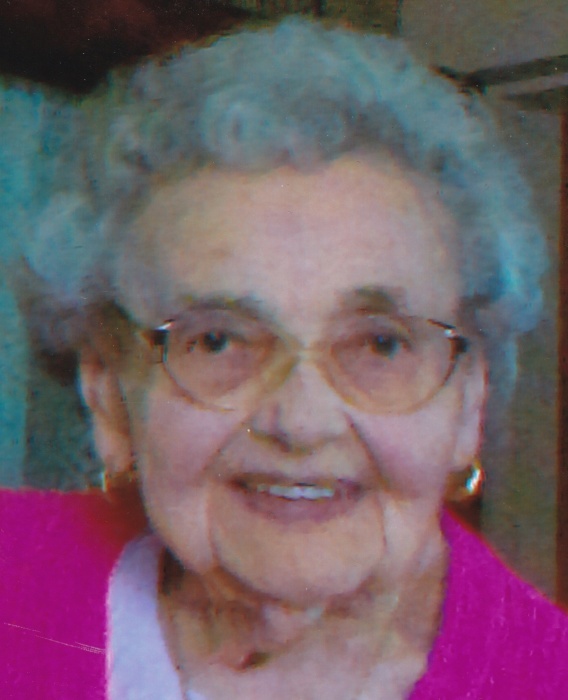 Rose Bappert, age 96, of the Village of Bloomfield, WI (Pell Lake), died Wednesday evening, November 28, 2018 at her home. The former Rose Schwarz was born on March 10, 1922 in Friedorf, Romania, the daughter of the late John and Magdalina Focht Schwarz. On July 24, 1943 in Friedorf, Romania. Rose was united in marriage to Anton Bappert. Anton preceded Rose in death on July 21, 2002. They came to the United States in 1956. They lived in Chicago, IL and Lake Villa, IL before moving to Pell Lake in 1975. Rose was an active member of St. Mary’s Catholic Church and a member of the St. Mary’s Ladies Club. She enjoyed crocheting, cooking and baking. Rose is survived by: her children: Karl (Margaret) Bappert of Demotte, Indiana, Wolfgang Bappert of Chicago, IL, Winfried Bappert of Chicago, IL and Tony (Donna) Bappert of Pell Lake, WI; 8 grandchildren; 10 great grandchildren; and a sister Hella Bappert in Germany. The Bappert Family will receive friends at the Haase-Lockwood & Assoc. Funeral Home, 620 Legion Dr. Twin Lakes, WI from 10:00AM on Monday, Dec. 3, 2018 until Prayers at 11:30AM. Mass of Christian Burial will be held at 12:00PM at St. John’s Catholic Church, 701 N. Lake Ave. Twin Lakes, WI. Interment will be in Bloomfield Cemetery. For online guestbook: haaselockwoodfhs.com.